This is going to be a confused jumble of thoughts, because the last two days have been a confusing jumble. Yesterday, my Facebook feed was filled with people commenting and sharing links and photos about the special day of the year. Only for some people, that was the annual Star Wars Day ("May the Fourth be with you"), whereas for others, it was Holocaust Day. I really don't mean to sound moralizing or patronizing. I must be honest; to my shame, I must admit that I probably feel more connected to Star Wars than to the Holocaust. But it was striking to see how, generally speaking, people in Israel are so much more connected to events of genuine national importance. Star Wars itself can be loosely described as trying to teach about the dangers of fascism, with the most recent movie, The Force Awakens, being blatant in its equating the evil First Order with the Nazis. 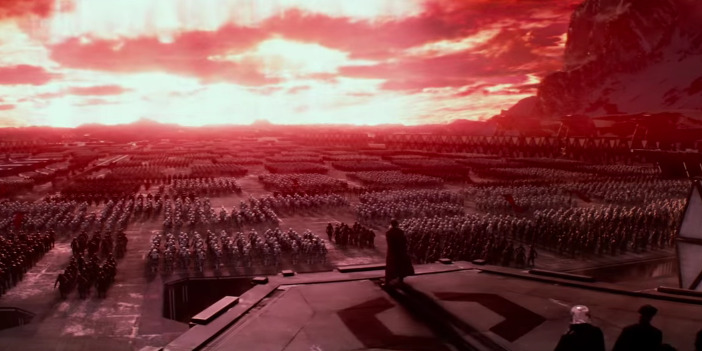 Still, while I watched The Force Awakens, and I enjoyed it immensely, there was one scene that bothered me intensely. Action movies are a lot of fun, even when there is a high body count (and sometimes because of the high body count). But The Force Awakens portrayed what I think must be by far the greatest loss of life in any movie ever, with the First Order destroying an entire planetary system - many millions, even billions, of lives. And yet, that act took up just a few seconds of screen time, showed a few scared faces, played a few sad notes of music, and then the action and fun rolled on. Have we really reached a point where a story can portray such staggering loss of life in so casual a manner? I hope and pray that people get a proper perspective the easy way, via education, rather than the hard way. Please. Star Wars VII was the stupid person's version of the original movie. It had pretty much the same plot: the Empire always invests all its money in a giant battlestation capable of destroying entire planets or systems or whatever but also leaves some port open through which a lucky torpedo can wipe out the entire structure in a second. There's the previous generations's hero who dies fighting the chief villian who, in this case, was a wussy zit-faced nerd who got his arse whupped by a young lady who'd figured out she had a connection to the Force some 15 minutes earlier and was using a light sabre for the first time! Nazi imagery? Of course it was blatant. If they made it as subtle as the original movie the millenials would have missed it! And yes, you can wipe out billions of lives in a few seconds without much fanfare. This is a generation raised on video games in which they wipe out hundreds of lives a day. Phooey. Come on... it did it's job. Was a good inter generational bridge for star wars fans. "whupped by a young lady who'd figured out she had a connection to the Force some 15 minutes earlier..."
The political correctness of this new edition was nauseating. Why can't black people and/or women also be heroes in this movie? It has nothing to do with skin colour or gender. You have Rey, a character with no clue as to what the Force is and suddenly she's outdueling the zit-faced loser who's been training either as a Jedi or Sith for his entire life. It suggests that after a few weeks on the island with Luke she'll be able to take out Gollu... I mean, Snoke with ease. Garnel - I was responding to "Yoda"'s feeling nauseous at the "political correctness" of the new edition, again, as if having non-white male heroes is such a big problem. The problem isn't "having non-white male heroes" as such, it's that it feels forced, and Rey was certainly far too perfect for any movie character (the term is "Mary Sue") and it appears that this had far too much to do with the fact that she is a female character, rather than based on narrative considerations. Still, I thought the movie was all kinds of fun, even though it was comically derivative. > the First Order destroying an entire planetary system - many millions, even billions, of lives. And yet, that act took up just a few seconds of screen time, showed a few scared faces, played a few sad notes of music, and then the action and fun rolled on. Have we really reached a point where a story can portray such staggering loss of life in so casual a manner? We haven't "reached a point" where this can happen. Society hasn't degenerated to a point where this portrayal has become acceptable. Rather, people have always had a hard time comprehending large numbers of deaths. As Stalin said, one death is a tragedy, a million is a statistic. On the other hand, we have reached a point where public hangings are no longer a fun family outing, and where we care about the deaths of people who aren't part of our in-group. Even fictional people killed long ago in a galaxy far away. No one ever viewed hanging as a fun family outing, and it was never intended as such. It was meant to serve as a deterrence. With its disappearance (coupled with other factors, to be sure) deterrence has gone by the wayside. As for deaths of people not in our group - if you mean a sympathetic cluck while on the way to skimming the website or paper to get where we really care about, then yes, people care. But people have always "cared" in this manner. Meanwhile, hundreds of thousands have been slain in Africa and the Arab world since 2000 alone. Yes, they did. A couple of hundred years ago executions were a form of entertainment. So were things like throwing things at people in the pillory, touring insane asylums, and viewing fresh corpses. That you find it unbelievable is a testament to how far our society has come. …But people have always "cared" in this manner. They haven't. People not "like us" were barbarians, savages, barely human. Sacking towns was fun doe the warriors and something to be celebrated by the populace. Now we're concerned about collateral damage. I don't know if human nature has really changed that much--ISIS in Raqaa displayed the burning of the Jordanian pilot. The crowd seemed "entertained"--despite the fact that the pilot was also Muslim, just not the right flavor. Austrians and Poles, from WWII survivors' accounts, were "pleased" that they were "rid of the Jews". If it is possible to demonize a certain group sufficiently, people will not empathize with them any more. Human nature hasn't changed at all. It's the societal constraints on acceptable behavior and attitudes that have changed. And as you point out, those changes aren't universal. To G*3 - based on your comment history, you are a liberal, or at least, not a fan of organized religion. By and large, and exceptions duly noted, most liberals believe they and their generation are smarter and better than previous generations (which is why they are called "progressive") while conservatives believe more or less the opposite. So it is natural for you to believe that modern secular society is somehow better than the more religious societies of the past. But it simply doesn't work. None of the things you described above were ever viewed as entertainment. The entertainment they had was not much different than ours - plays, music, poetry readings, etc. And is anything you describe worse than what America does today, e.g., routinely locking up people for their entire life in spaces the size of a parking lot? As for the second point - towns were sacked for territorial reasons, not as a public lark. And no one talks about collateral damage except in connection with bashing Israel or the US military. In other words, its not out of any genuine concern for the "other", but as a useful club with which to bash their targerts. If these self-righteous liberals actually cared about "the other", they would have stood up and cheered when the US invaded Iraq, they would have been screaming for incursions in Darur, and they would be calling for an attack on Syria. I don't expect we'll reach agreement here, because the differing viewpoints are not based on empirical evidence, but on the attitudes I described above, which cause one to interpret the evidence in his own favor. I can't speak for "liberals," but I don't believe we're smarter than previous generations. We are more knowledgeable than previous generations. We know more about how the world works and about people who are different than ourselves. We are also more concerned about people than in the past. Social history slants left, and the right-wing conservatives of today hold positions that would have put them in the centrist camp fifty years ago and among the leftists a hundred years ago. > So it is natural for you to believe that modern secular society is somehow better than the more religious societies of the past. You don't have to pay a Jew-tax, your right to worship as you wish is protected by law, and your employer is required to make reasonable accommodations for your religious beliefs. You don't think that's better than the religious societies of the past? > None of the things you described above were ever viewed as entertainment. Perhaps we are misinterpreting each other's intent. When I say hangings were entertainment, I don't mean that people were hanged for the purpose of entertaining the crowd. As you said, the intent was deterrence. But the people who went to see a public hanging went for its entertainment value, and I've seen it described as a "carnival atmosphere." The same is true for the other things I listed. The point of a pillory was to punish an offender, but the crowd that gathered was there for the entertainment value of throwing things at him. Asylums were for housing the insane, but the people who toured places like Bedlam went there to gawk. And in Paris at the turn of the 19th century, corpses were put on display at the city morgue for the curious public to view. > And is anything you describe worse than what America does today, e.g., routinely locking up people for their entire life in spaces the size of a parking lot? The idea that there is something wrong with locking criminals up " in spaces the size of a parking lot" is a liberal one. That we do this is bad, but that we recognize that it's bad is a sign of the empathy we have as a society even for convicted criminals. > no one talks about collateral damage except in connection with bashing Israel or the US military. In other words, its not out of any genuine concern for the "other", but as a useful club with which to bash their targerts. That's awfully cynical. It sounds just like the people who say that religious people aren't against gay marriage because of real religious conviction, but only because they're small-minded and hateful and want to deny rights to anyone not exactly like themselves. Real people have more nuance. DF: You've gone off the deep end again, as you usually do when you start to talk in political terms. You imply conservatives think that society was better with slavery, with sanctioned wars of conquest, with gladiator contests, with mercantilism, with Jim Crow, with state-sanctioned and enforced religion, without freedom of speech, without female suffrage, without indoor plumbing, without modern science, and without modern medicine. This is complete nonsense. Of course, we're much better off in every way than we were in the past and much of that is because we off course know much more (being able to stand giants shoulders or at least their feet). You then cherry pick one ill of modern America, the high incarceration rate (which is problem raised by "liberals" much more often than by "conservatives") to show that we are somehow worse off overall. Absurd. Territorial reasons? What Newspeak! You mean to steal their territory, their possessions, and their people. Because you're talking a lot of nonsense. Yes, life is still pretty horrible in some parts of the world, precisely because they continue to act as the whole world use to more routinely act. However, the West is not ignoring it, although they are acting in some pretty counterproductive ways. Although I pretty much agree with what you say about "liberals" and "progressives". Rav Kook himself did say that society does progress. For instance slavery, which was accepted and even viewed as beneficial in some way for the slaves, finally was abolished, although that wasn't such a smooth process. For instance, both the British and French Empires abolished slavery in the first half of the 19th century, yet when the colonized Africa in the second half of the 20th century, the conditions they imposed on the black workers in those colonies wasn't much better. Of course, Stalin, under the red hammer-and-sickle flag had millions of slaves building the White Sea Canal, the Moscow Metro and many other projects and he was hailed by many of these same "progressives". G*3 - While I respect your opinion, I don't agree that today we know more about people different than us than in the past. The exact opposite is the case - we know less. Political Correctness forces society to outwardly pretend that no differences exist, when in fact, the differences are gigantic. The fiction that men and women are the same is a perfectly illustrative example, and the hypocritical and self-contradictory way in which that belief is sometimes applied and sometimes ignored proves it. Re progression/regression - clearly an objective observer, if such a thing is possible, would say there is evidence of both. (As Y. Ben David alludes to.) The abolishment of the Jew tax, as you noted, goes on the plus side of the ledger. Allowing homosexual "marriage" goes on the other. The examples can be multiplied on each side, in just about every category. Some things are better, some things are worse. To claim, "we are more concerned about people in the past" is simply false. Re prison reform - you are describing liberals of a hundred years ago. Today's liberals are not concerned about that. The governors that have quietly been carrying out prison reforms over the past ten years have almost entirely been from conservative states. Re collateral damage - if the concern was genunine, we would hear about it from the left in contexts other than Israel and the US army. For example, we would hear about it in regards to affirmative action - all great and wonderful, but what about the white men who lost jobs for which they were more qualified, in the name of affirmative action? They are also collateral damage. Likewise, all the men's sports programs that have been scrapped becaue of Title IX - that's also collateral damage for feminism. But you don't hear anything from the left there. Cynicism is justified and correct. > I don't agree that today we know more about people different than us than in the past. In tribal societies, strangers are killed on sight. A few centuries ago, most people never traveled more than five miles from the place they were born. Most people never met anyone who wasn't exactly like themselves. Sixty years ago there were laws in place in this country meant to prevent black and white people from interacting on equal terms. Today people travel, mingle freely, and are exposed to other cultures through the media. That the average person knows more about people different than himself than did his ancestors is not a matter of opinion. > Political Correctness forces society to outwardly pretend that no differences exist, when in fact, the differences are gigantic. Don't be ridiculous. Diversity is something that is now celebrated. What is not acceptable is perpetuating negative stereotypes. Have you ever met someone who believed that men and women are identical? I've heard many right-wingers who complain about it, but I've never met anyone who believes it. What people insist on is that men and women should have equal opportunities. > Allowing homosexual "marriage" goes on the other. This is going to take us down another rabbit hole, but can you justify opposition to homosexual marriage without citing religion? And if not, why do you get to impose your religion on homosexuals, but Christians don't get to impose their religion on you? > To claim, "we are more concerned about people in the past" is simply false. You need to read more about what life was like in the past. It is only recently that people have begun to recognize that people like themselves are fully human. > Re prison reform - you are describing liberals of a hundred years ago. 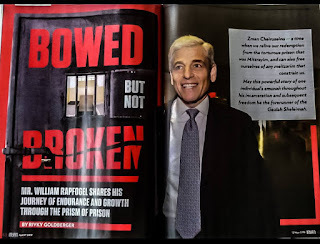 … The governors that have quietly been carrying out prison reforms over the past ten years have almost entirely been from conservative states. As I said, the liberals of a hundred years ago are the conservatives of today. > Re collateral damage - if the concern was genunine, we would hear about it from the left in contexts other than Israel and the US army. Right. And if the concern about gay marriage was due to real religious conviction, we would hear from the religious right about other things the Torah calls a toevah. Yet we don't have a movement to stop the FDA from approving shellfish for human consumption. > Likewise, all the men's sports programs that have been scrapped becaue of Title IX - that's also collateral damage for feminism. 1. Are you seriously comparing fewer opportunities for boys to play ball with people dying? You think that people who are upset when a kid gets his legs blown off by a bomb should be just as upset about a kid who doesn't get to play football? 2. There is a limited amount of money. One would think that money should be made available equally to all students. Yet you seem to be saying that it's unfair for any of that money to go to girls' sports, because then there is less for the boys. Are the girls not students? Mainstream American liberalism opposed Communism. Even many of the left-wingers who supported Stalin by turning a blind eye to his atrocities became disillusioned with Communism when Khrushchev admitted (for his own purposes) the extent of Stalin's crimes. G*3 - Believe me, I can refute everything you said, easily. But I've lost the inclination, it wont get us anywhere, and we've gone far afield from the central point already. The exchange simply corroborates the point with which I began. I'll just leave it at that. > Believe me, I can refute everything you said, easily. I don't believe it. Obviously. Otherwise I would agree with you, and we wouldn't be having this discussion. All right. I think the time to stop these sorts of debates is when it stops being fun. "You imply conservatives think that society was better with slavery, with sanctioned wars of conquest, with gladiator contests, with mercantilism, with Jim Crow, with state-sanctioned and enforced religion, without freedom of speech, without female suffrage, without indoor plumbing, without modern science, and without modern medicine." You would be surprised how often I run into such people on the internet. Other than indoor plumbing, I can cite an opponent of every single one of these manifestations of progress! And the Republican Party is about to nominate a Presidential candidate who is pretty much a Mercantilist.
" Even many of the left-wingers who supported Stalin by turning a blind eye to his atrocities became disillusioned with Communism when Khrushchev admitted (for his own purposes) the extent of Stalin's crimes." Henry Wallace even wrote a book renouncing many of his former political positions. The title: "Where I Was Wrong". Among the quotes from that work: "More and more I am convinced that Russian Communism in its total disregard of truth, in its fanaticism, its intolerance and its resolute denial of God and religion is something utterly evil." The original Star Wars also showed an entire planet being destroyed, in a few seconds. Correct. Although that was a much smaller carnage, it was portrayed in Ep. IV which was released nearly forty years ago. The author's point is about desensitizing ourselves, and I fear this has already been going on for much longer than we thought. Star Trek had the same issue: The Doomsday Machine (Star Trek: The Original Series) I think that the problem boils down to the need to make the event really dramatic which requires lots of lives on the line vs. the need to avoid interrupting the drama for a day of silence. And the 2009 movie, for that matter. You are correct, but I didn't watch that as a kid, so I retain no memory of it :). Point remains that the issue goes back farther than the Star Wars series back to the 60's and probably back infinitely before that. So you're saying that secular film culture treats mass death and destruction in a light way for entertainment? There was me thinking it was actually a sensible way for a ben aliya to spend time. So this blog has now become a review of star wars and the author admits to having some connection with star wars, whatever that means. I don't follow. You implied that a connection to Star Wars somehow makes a person unqualified to have opinions on halacha and hashkafa. Then you concede that they have nothing to do with each other. So what's the problem? A head with involvement in such shtusim (rubbish) should not issue statements in halocho and hashkofo. Now before the usual crowd wax lyrical about tora umaddah let me tell you that Star Wars is not the sort of culture that any rishonim or acharonim would say is included in tora umaddah. Its like saying that the Spanish rishonim went to bull fighting matches as that was also the culture of the day. Did they? I think we should be told. Obviously star wars isn't Torah UMadda. It's just great fun. Lighten up. I'm sure that the rishonim weren't as uptight as all that. "Now before the usual crowd wax lyrical about tora umaddah let me tell you that Star Wars is not the sort of culture that any rishonim or acharonim would say is included in tora umaddah." How about the Ramchal, who went to the theater? > A head with involvement in such shtusim (rubbish) should not issue statements in halocho and hashkofo. Why not? Can you justify that statement? In what way, exactly, does enjoying Star Wars detract from someone's intellectual capacity or scholarly accomplishments? Come on, enough already. Your comment was just an insult. You're trying to say, "Anyone who has a connection to something silly like Star Wars is a silly person who can't possibly have a valid opinion on weighty matters like halacha and hashkafa." Of course, people are not one-dimensional, and even intelligent people can enjoy mindless entertainment. If we were talking about the occasional hashkafic or halachik statement I would agree with you. But we are talking about regular attacks on the lifestyle and kulturkampf of a significant part of klal yisroel, their ancestors and their halachic mentors, with assertions that they are doing everything wrong and against the torah. Such statements and assertions can only come from somebody who is himself steeped in tora and chochma..... Not somebody who admits openly to having a 'connection' to Star Wars. If you want to research this more, the starting point is the explantions of 'miut sechok' in the mem des derochim shehatora niknus bo, and the peshotim in 'Havei Ameilim B'torah'. My goodness. I guess if you're not a member of Isis, you can't comment on whether or not Isis are actually following authentic Islam. > Such statements and assertions can only come from somebody who is himself steeped in tora and chochma..... Not somebody who admits openly to having a 'connection' to Star Wars. Because those are mutually exclusive? Please. Look, it's bad enough you decided to be insulting. Don't make it worse by pretending your insult is some sort of learned evaluation. The various responses to "************" treating his comment at face value miss the point. He doesn't say so outright (I imagine he realizes that such a sentiment would not get much traction among this audience), but his underlying assumption is that popular culture is a kind of tumah, and even unavoidable contact with it pollutes. Certainly, then, any voluntary immersion, no matter how limited, is metameh. According to this reasoning, someone who values popular culture is tovel vesheretz beyado. The only acceptable approach is exclusively Torah. Maybe math in the bathroom. My point is that a person who wishes to issue regular attacks on the way of life of a major section of Klal Yisroed based on his own halachic and hashkafic opinions, that sort of person needs to be somebody who avoids secular culture as much as possible. Not the sort of person that admits to having a connection with Star Wars. A person who wishes to issue general halachic or hashkafic opinions, it's up to him and his adherents how much they or him are bothered by a connection with Star Wars. It's the regular attacks on the way of life of Chareidim, that can only come from somebody himself steeped in torah and halocho. Look even the Rabbonim more similar in outlook to the author of this blog (YU, Mizrach types) refrain from attacking the charedi way of life. I'm curious to know eh this is. If, as the author of this blog asserts, the charedi way of life is so totally incorrect, you would expect some criticism. But you don't find it. Even going to the army issues, the Mizrachi rabbinate are very discreet in their criticism, if there is any. Or to summarise, I DO NOT agree with "The only acceptable approach is exclusively Torah. Maybe math in the bathroom." I am a broadly educated professional with a good secular education. But I do want my Rabbonim who issue rulings on matters of life and death to have an exclusive torah approach, if they do not, a chochma or goyim approach. In other words, if I had a 'turn off life support machine' question I would in the first instance turn to a top grade chareidi rav. If I was stuck on a desert island with no chareidi rov, I would ask an MZ or YU rov, provided I was happy with his level of torah scholarship. But I would never ask anybody who admits to having a connection with Star Wars. Issuing attacks on the way of life of Chareidi Jews and their halachic leadershiop, week in week out, is akin to a life support question. It needs somebody with no connection to Star Wars. "But I do want my Rabbonim who issue rulings on matters of life and death to have an exclusive torah approach, if they do not, a chochma or goyim approach." Obviously, then, you would not want Rambam to be your Rav, and you would not want your Rabbonim to have learned Rambam. After all, as the Vilna Gaon correctly pointed out, Rambam was heavily influenced by Greco-Muslim philosophy. If I was living at that time and was a talmid of those Rabbonim that burnt the Rambam's seforim the answer to your question is of course 'yes'. As for modern times, the link from a Rav who studies Rambam to the Rambam's own position is indirect and tempered with other authors . I would be concerned about a Rov who learnt jusr Rambam, yes. > My point is that a person who wishes to issue regular attacks on the way of life of a major section of Klal Yisroed based on his own halachic and hashkafic opinions, that sort of person needs to be somebody who avoids secular culture as much as possible. But that is the Chareidi hashkafa. So you're saying that only someone who accepts that the Chareidi approach is the proper approach is allowed to suggest that it's not the proper approach. What nonsense. I'll grant you, it's a great defense mechanism. By stipulating that only people who agree with you are qualified to disagree, you never have to listen to anyone who disagrees with you. By disagreeing, they automatically invalidate themselves. I'm not surprised that charedim think that non-charedim are, by definition, disqualified to critique charedim. What surprises me (a little) is that this person thinks that non-charedim would also accept that. This has nothing to do with charedi or not. This has to do with a persob who admits a connection with Star Wars. That is NOT the same as having a doctorate from Harvard or whatever it was as Rav Lichtentein had. Of the non charedi rabbonim, how many have a connection with cheap trashy entertainment like Star Wars. And those that do, are they considered in the premier division or fourth division of a grading system? I assume that non charedim also have a grading system even if it is not official. And I assume the low grade rabbonim defer to the premium rabbonim depending on the seriousness of the matter. What I am trying to say is that I believe even in the non charedi world a rabbi that is connected to Star Wars would not rate highly. I suppose I should make myself clearer. When I refer to secular culture I am referring to films like star wars, not anything with academic merit. And if you want to know what I use to decide, look at the sort of people who feel a connection with Star Wars. They are hardly the cream of academia. Children and spotty kids. Shakespeare is a different story. Correct me if I am wrong but I believe that in the world of academia it would be considered highly inappropriate for a first year student to, month in month out, produce papers criticising the work of the greatest professor in the subject. However well written and based on sources. Why should torah be any different? Now if we saw regular "shicklech torah" (writings of torah scholarship) from the non charedi rabbonim ( of any rank) criticising charedim and their methodology it would be different. But we don't. Why, I can only wonder. Charedi bashing phenomena is left to baalei battim with blogs. "Correct me if I am wrong but I believe that in the world of academia it would be considered highly inappropriate for a first year student to, month in month out, produce papers criticising the work of the greatest professor in the subject. However well written and based on sources." Well, allow me to correct you. In the world of academia, as well as the rationalist Torah world, based on Rambam, arguments are evaluated based on their inherent merit, not based on the character and stature of those who say them. "based on their inherit merit"
Maybe yes, maybe not, but there is an inherent assumption that a first year student does not have sufficient 'inherit merit' to debate a learned professor. I suspect that after a letter or two from our hypothetical first year student arguing with our learned professor, future letters will be filed in the 'round cabinet in the corner', otherwise known as the trash, without being read. Maybe a 'humph, him again', from our professor. I'm in the legal world, and it would be most presumptuous for a junior barrister (attorney, solicitor) to open his mouth and argue with a Queen's counsel (top level barrister, attorney. Try arguing with the boss in any job or profession and see how far you get up the ladder. Are you really going to convince me that academia is different? "as well as the rationalist Torah world, based on Rambam, arguments are evaluated based on their inherent merit, not based on the character and stature of those who say them." Actually, that is not correct. In the Sanhedrin (yes, I know it is not a Hebrew word) the junior members spoke up before the senior members, precisely because they should not be seen to argue with them. And I can assure that a junior member of the sanhedrin in those days, well, a rishon would maybe come up to his ankles (as the Gaon reputably said about himself vis-a-vis the Rashba). And not that I need to say this, but to head off any argument, the rationalist Rambam brings this gemoroh as halocho. And it is also generally accepted that amaroim cannot argue with tannoim and rishonim cannot argue with amaroim. I agree that acharonim do argue with rishonim, but that is very much the exception rather than the norm. And is reserved for "super acharonim". "Try arguing with the boss in any job or profession and see how far you get up the ladder. Are you really going to convince me that academia is different?" No, you're right, academics are often subject to the same human weaknesses as everyone else. But we are talking about ideals here. "In the Sanhedrin (yes, I know it is not a Hebrew word) the junior members spoke up before the senior members, precisely because they should not be seen to argue with them." No, that is not the reason. The reason is that they should not be intimidated from speaking their minds. "And it is also generally accepted that amaroim cannot argue with tannoim and rishonim cannot argue with amaroim." Correct, but for non-charedim (and some charedim), the reason has nothing to do with the tannoim being greater. It's a canonization of an earlier period. דִּינֵי נְפָשׁוֹת מַתְחִילִין מִן הַצַּד. מן הצד. מן הקטנים בחכמה שהיו יושבים בצד. דאמר קרא (שם כ"ג) "לא תענה על ריב". וכתיב רב, כלומר לא תענה על מופלא שבבית דין ולנטות מדבריו, לפיכך אין שומעין דבריו אלא בסוף. As for your second point, I don't know where these matters are discussed, so I can't comment. Maybe between amoraim and tannoim or amoraim and rishonim there was 'canonization'. But between rishonim and acharonim, I think it unlikely. It was more a general agreement that the standard of torah had dropped to much too argue. If you can bring me a source for your view, I would be grateful. Have a good week/Shavuo Tov/ Gut Woch'. I'm not so sure that the indifference of the audience speaks to their own desensitivity as much as it does the filmmakers' inability to properly emotionally connect their audience to the film. There is always a balance between the suspension of disbelief necessary to enjoy a movie, and the knowledge that, after all, it's just a movie. The way that filmmakers draw their audience into their films and submerge them in their universes, is by giving a movie depth of character and creating emotional attachments between the audience and the on-screen characters. Without these, the suspension of disbelief generally fails to allow the audience to view what they see as anything more than make-believe. At least in episode IV, we had already been introduced to Leia and allowed to empathize with her, and therefore we were able to view the destruction of Alderaan, at least, through her eyes. On the other hand, the decision to destroy a system that the audience hadn't yet developed an attachment to, and therefore never really left the world of make-believe, understandably wasn't terribly impactful. From what I can recall the audience reaction to the destruction of Alderaan was much more visceral than to whichever system was destroyed in ep. VII. "'Saving Private Ryan' is rated R (Under 17 requires accompanying parent or adult guardian). Its graphic war scenes depict maimed bodies and shockingly sudden death. Young children aren't ready for it. Teen-agers who would think nothing of watching a grisly horror film will think more if they see this." Much of the concern about "human rights" in the world is pure hypocrisy. A good example was when I was on a Left-wing site and one "progressive" Jew said "the problem with you Zionists is that you only care about the Jews. I love all of humanity". I asked him about what he was doing about helping the Syrians who had suffered 250,000 dead and millions of refugees. Believe it or not he, he said "there are too many problems in the world, I focus on the poor Palestinians". We can see here that it is NOT human rights that concerns him, merely the opportunity to bash Israel. A certain American Reconstructionist rabbi who runs an "bash Israel" blog was asked by me why he is advocating BDS against Israel but not for those like Assad's government, the Russians, Iranians, Saudis, etc who are feeding the killing machine in Syria. Again, incredibly he stated "the Palestinians have asked me to boycott Israel. The Syrians (who are they exactly?) haven't asked me to and it would be presumtuous for me to tell them what to do. If and when they should do so I will be the first to implement such a boycott". Has he polled all the Palestinians and Syrians to see if they do want a boycott? The Palestinian Authority actually opposes BDS. What Syrians did he consult? None, of course. He doesn't care about human rights, he hates Israel and wants to bash it. That's what it all boils down to. People are always saying "one can be harshly critical of Israel and not be an antisemite, but as we see with the Labour Party daily scandals, it really almost always comes down to antisemitism, non-Jewish or Jewish. Much of the concern about "human rights" in the world is pure hypocrisy. There is hypocrisy in all fields and some of the human rights attacks against Israel are not sincere. But "liberals" also do care about human rights in other places. If you look at the front page of Amnesty International now, you'll articles relating to Brazil, Argentina, Mexico, El Salvador and Iran and none about Israel. Syria was discussed constantly during the debates and Obama has (foolishly in my opinion) insisted that Assad be forced out of office for his activities during the civil war there. "articles relating to Brazil, Argentina, Mexico, El Salvador and Iran and none about Israel." No articles about Israel means that AI does not see Israel as a major human rights violator compared to the other countries you mention. "Obama has (foolishly in my opinion) insisted that Assad be forced out of office for his activities during the civil war there." You claim to care about human rights and defend a regime that has engaged in mass murder of its citizens?